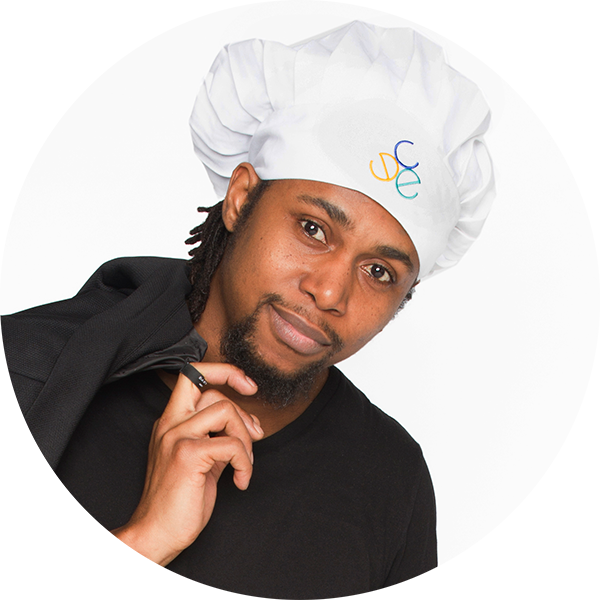 Chef Horace Spence has worked in the food industry for over 8 years. He started out cooking with raw ingredients in an open fire in the Jamaican countryside. His passion for food brought him to studying international cuisines at Ashworth College. He later studied community work at George Brown College with a focus on food literacy. Horace now heads the Kitchen Masters program at CEE. The Kitchen Masters program is a holistic program aimed at providing members with the skills, training, networks and work experience needed to launch a career in the culinary industry. During the program participants build their capacity through culinary training, cooking challenges, introduction to nutrition and wellness, personal development coaching/workshops and unpaid internship/ job placement. Additionally, participants are provided access to financial and support services. Each cohort commences their journey at a 3-day retreat outside of Toronto. Here they have an opportunity to bond with their fellow members, work with some of Toronto’s top chefs, gain initial knowledge of the culinary industry, and of course, cook! He also runs O.M.O. catering on the side.